WASHINGTON -- Volkswagen Group has agreed to hold settlement talks with several U.S. states that sued the automaker for hundreds of millions of dollars over environmental law violations, the automaker said in a court filing Tuesday. Maryland, Massachusetts, New York and Pennsylvania sued Volkswagen over excess diesel emissions related to its use of cheating software while the state of Washington has filed a notice of penalty against Volkswagen. VW said settlement talks will begin no later than Nov. 1, adding that as many as 14 other states may have environmental claims. VW spokeswoman Jeannine Ginivan said the automaker "is committed to reaching a fair and efficient resolution of remaining federal and state diesel claims in the United States." She said the agreement "will provide a constructive route to resolving any remaining environmental claims." Under the agreement, the states' lawsuits, which were filed in separate state courts, will be transferred to a federal judge overseeing hundreds of suits filed by owners and others. The settlement talks may help VW reach a resolution to outstanding issues. The emissions cheating scandal has hurt its business and reputation, and cost the company billions of dollars. In July, VW had said it was "regrettable that some states have decided to sue for environmental claims now." States led by New York sued VW last month and claimed senior executives, including its former CEO Martin Winterkorn, covered up evidence the German automaker had cheated on U.S. diesel emissions tests for years. The lawsuits outlined more than a decade of efforts by VW to deceive regulators in the U.S. and Europe, citing internal VW documents. VW last September admitted using sophisticated secret software in its cars to cheat on exhaust emissions tests, with millions of vehicles worldwide affected. VW has admitted it installed improper software that deactivated pollution controls on more than 11 million diesel vehicles sold worldwide, and in June agreed to pay up to $15.3 billion to buy back up to 475,000 vehicles and pay claims by federal regulators and 44 U.S. states. The U.S. Justice Department and Environmental Protection Agency have not yet reached a deal with Volkswagen on fines as part of a separate settlement that could lead to an outside monitor overseeing VW's compliance with American laws. 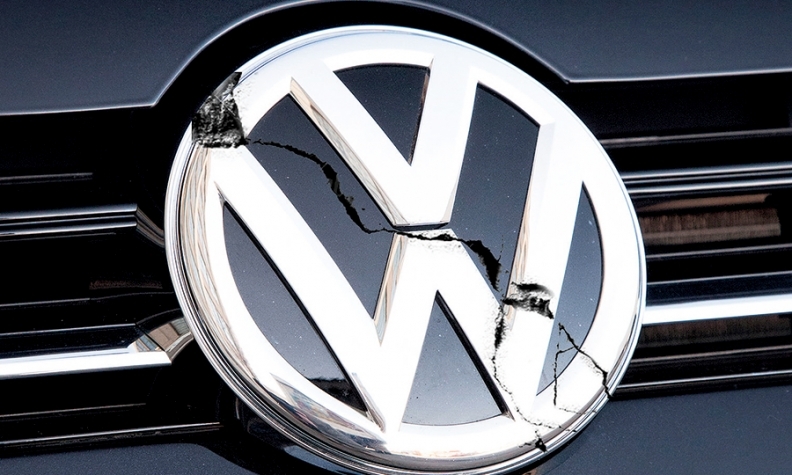 VW has set aside nearly $20 billion to handle the expected costs stemming from the scandal. Reuters reported last week that VW has held preliminary talks with the Justice Department to resolve the government's ongoing criminal investigation. VW faces potentially billions of dollars more in costs in the U.S. if it is forced to buy back 85,000 3.0-liter Audi, Porsche and VW cars and SUVs sold since 2009.